Many of my friends have been asking for tips to better doodles. One of the most important things in transforming doodles into art is how you finish it. And by that I mean after you’ve sketched it, what do you to take it to the next level? My favorite finish work is to accentuate curves by thickening them at the height if their extension as seen in the top section of the image below. Another great way to finish your work is to fill in large areas with black, also shown below. 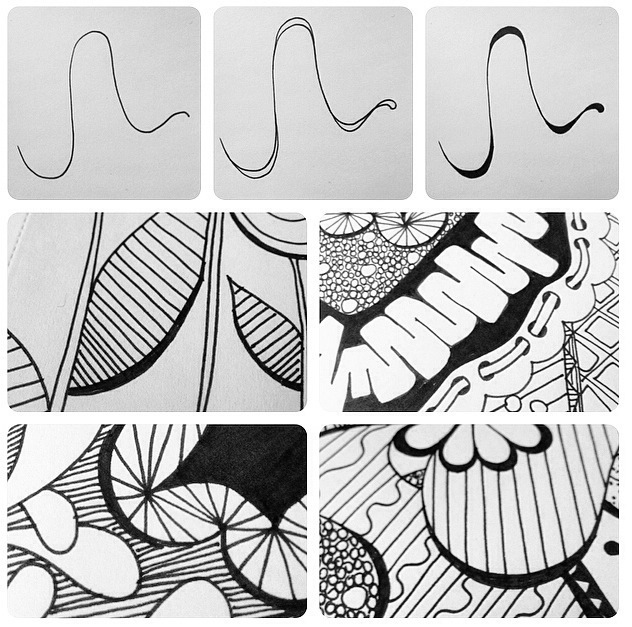 What tips do you have for taking doodles to the next level? I usually have to have a theme but mostly I follow your tips. I’ve been thinking lately how a theme might help me find direction and variety in my drawings. Do you get your theme ideas from anywhere in particular?